Your roof is an important investment – it takes a beating every day from hail, rain and sun and needs regular maintenance checks. Ageing is a natural part of a roof’s lifespan, and depending on the type and age of your roof, sometimes damage can occur that needs to be attended to as soon as possible in order to maintain its structural integrity. But how do you know if the damage is serious, and when it’s time to call in the experts? Here are five signs you might need a roof restoration or a roof replacement. We all know the value of regular maintenance when it comes to looking after your roof. However, peeling paintwork on either the inside or outside of your roof’s exterior can be a sign that it’s not doing its job properly. Flaking or damaged paintwork not only looks unsightly, it can hinder the ability of your roof to protect your home from the elements. This can lead to costly roof repairs or even having to invest in a new roof. Ensuring the paintwork on your roof is in tip-top condition will not only it offer better protection, it will add value to your home and ultimately extend the life of your roof. A well looked after roof will be able to withstand heavy rain and other extreme weather conditions like hail and snow. Water damage like moisture on the inside of your roof is a sure sign that your roof is in some way comprised. Signs to look out for include trails that indicate leaking and dark spots that indicate damage. Well-protected homes also don’t rot or grow mould, so if you begin to notice it on your interior walls and ceilings, it could be an indicator of a damaged roof. Corrosion is also a sign that water could be gathering around fittings, gutters and fastenings or anywhere else the roof is in contact with metal. If you notice any of these signs, you need to have a professional take a closer look. Reputable companies will inspect your roof thoroughly and advise if you need roof repairs, roof restoration or a roof replacement. 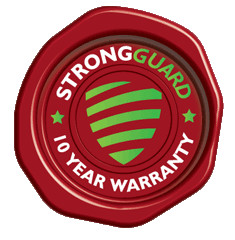 The replacement of roof tiles when they are cracked or broken is crucial to ensuring the ongoing protection of your home from our country’s harsh weather. But how does this affect roof restoration or roof replacement? One damaged tile is all it takes for water to seep into your home, and water can affect insulation and cause walls and ceilings to blister, stain and bubble. Damaged tiles can also cause mould, which can take only 24 hours to start growing in damp and moist conditions. Mould loves wet walls, insulation, ceiling and carpets, and spores can grow rapidly leaving a trail of stains and an unpleasant odour. Wood rot can also occur from extended exposure to moisture, which can leave wood beyond repair and roofs compromised. Unfortunately, termites may also start to make your home their home! In order to avoid roof restoration or re-roofing, you should focus on a number of elements as part of your regular roof maintenance. These include checking roof valleys, gutters and downpipes for signs of wear and/or damage, and worn or loose material around pipes, vents, chimneys or other areas where your roof might have been penetrated. Damaged flashing can also compromise your roof structure. Flashing is thin pieces of impervious material that are installed to prevent water from passing into a structure. In older homes, flashing was made of cement or tar, which can break down over time. If your roof has a significant amount of damage, it’s worth having your flashing replaced with modern metal flashing to counteract leaks and avoid the need for a roof replacement or roof restoration. In more modern buildings, flashing is made from materials including copper, lead, aluminium, zinc alloy or other materials. It not only protects your roof from water penetration but reduces mould problems. All roofs undergo a natural ageing process and factors such as pollution, moisture and physical effects like weather, roof traffic and trees can all contribute to its degradation. As a general rule, your roof should last you between 20 and 25 years, however, as it ages, it will still need repairs. Knowing the age and status of your roof can help you make an educated decision about any damage you may find. A brand new roof that is leaking may just have a simple guttering issue, however, if your roof is only 10 years old and needs frequent repairs, it probably needs roof restoration. If your roof is over 20 years old and needs frequent repairs, it’s probably time for a roof replacement. What are the benefits of roof maintenance? Roof maintenance should be done at least once a year and you should start with your roof’s surface. 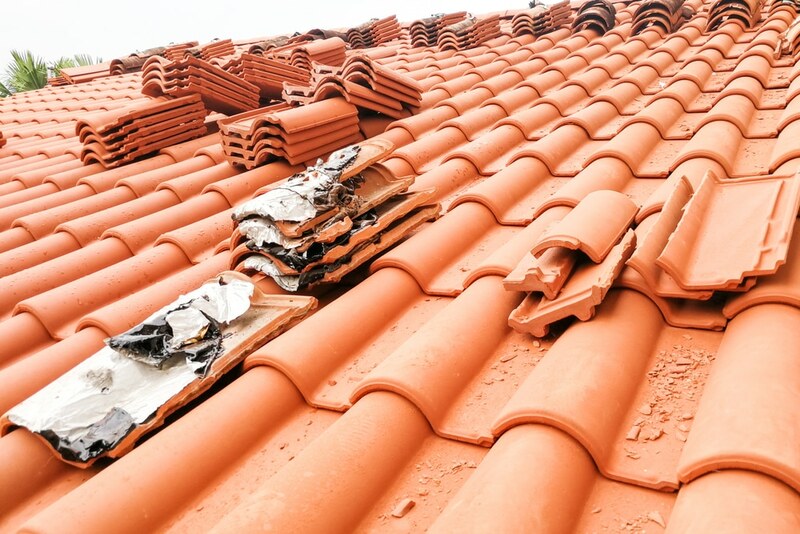 Issues here will depend on what your roof is constructed of – tiles that are chipped or broken may need replacing, and metal roofs should be checked for corrosion. You should then also check your downpipes and guttering. Debris like leaf matter and fallen branches can build up on your roof’s surface and a build-up of litter after a large downpour can cause significant issues. With spring being the transition from the dry season to the wet in many parts of Australia, it’s a great time to perform roof maintenance. This is because there should be a few months ahead where you can undertake any repair work before the next spell of possibly bad weather hits. If you’ve undertaken a thorough inspection and undertaken roof maintenance, and you are still experiencing problems with your roof, then it’s definitely time to call in the experts! Need an expert’s advice on whether you need roof restoration or a new roof? Contact us on (07) 3623 4422 for a quote!